GOING OUT OF STOCK. Only XL AVAILABLE. This item is being replaced with a new hoodie featuring the new NSHSS logo. 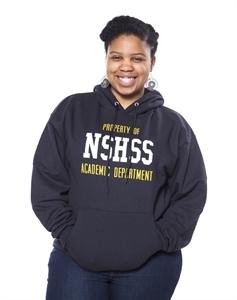 You can also purchase an NSHSS Paint Splatter Hoodie instead.